At dar al marefa we strive to create a healthy and safe learning community that enriches the development of our students. Our learning process revolves around exploring ourselves, our capabilities and our local and global community, while taking pride in our local values and culture. We strive to enrich our children with knowledge, confidence and positive thinking enabling them to be positive citizens in their communities. Our learning partners are parents, friends and the local community. An initiative of Al Ghurair, dar al marefa is the cornerstone of a broader program which aims to contribute to education offered to the growing UAE community. Our school is now open for intakes to KG1 – Grade 10. 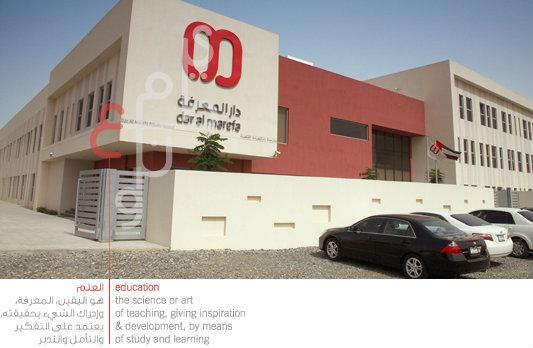 Dar al Marefa Private School is located at 58 C St – Dubai – United Arab Emirates. You can contact Dar al Marefa Private School with telephone number +971 4 288 5782 or visit their website at http://daralmarefa.ae .